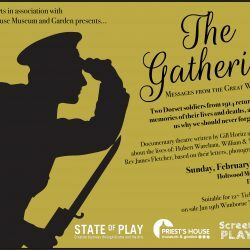 A further performance of ‘The Gathering – Messages from the Great War’ will be staged in Wimborne on Friday June 8th at 7.30pm. 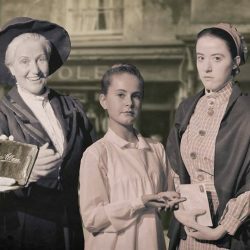 The production was staged earlier this year and quickly sold out. 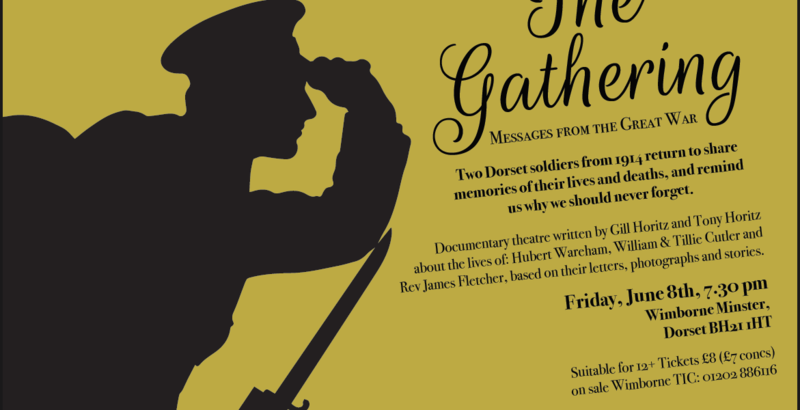 The play is a commemoration of the lives of two local soldiers, Will Cutler and Hubert Wareham, who died during the First World War, and two people closely involved in their lives: Will’s wife, Tillie, and the Vicar of Wimborne Minster, Reverend James Fletcher. Bring to life stores we didn’t know about. 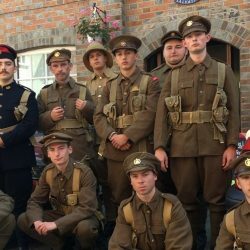 The acting was amazing and very much brought war-life of soldiers to the fore. 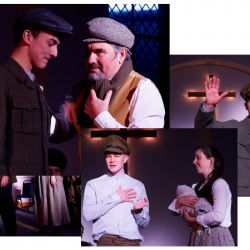 Theatrical performance was of the highest calibre; all members of the cast deserve recognition for their high quality performance. 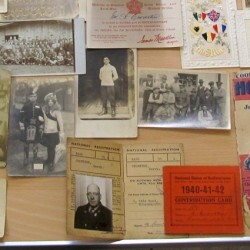 An awesome theatrical performance which was extremely moving and brought our family history to life. A brilliant amalgamation of factual material mixed with imagined and honestly presented. Lovely singing and great to see the images on screen. Very moving. I wanted to see more contact between Tilly and Will. When they were initially together, to accentuate their separation later when writing to each other.